Oslob whale shark watching attraction that stands the most. Oslob whale shark is one of Philippine’s pride and is known worldwide due to its marvelous beauty. There are lots of sceneries that can be located there and some are still being discovered. 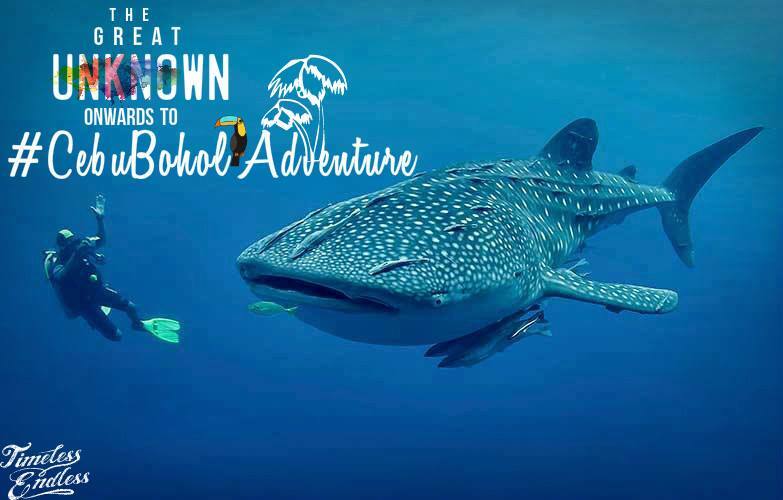 In this article let’s be focused on one of its attractions that stands the most, the “Whale Sharks” in Oslob, Cebu. The whale shark or the Rhincodon Typus is one of the world’s gentlest giants. In the Philippines, it is called “butanding” but some are calling it “tuki”. Its head is flattened and has a very wide mouth that is positioned at the tip of the snout. The dorsal fin is particularly large and has a half-moon shape tail. By prying into its pattern, you’ll be amazed how distinct it is. It has dark- grayish-blue color on its back while having some arrays of pale blotches on its sides. Stout ridges travel the length of the body, ending at the tail of the shaft with five massive gills occurred on the side of its head. Within these a sieve-like, a structure of cartilage can be found too. Inside of its mouth, there are hundreds of tiny teeth found although the function of these is still unknown. Oslob whale shark watching started last September 2011. It took the world’s attention when the news hit the internet in the same year. The town of Oslob has always been the community of fisher folks who make a quiet living in the sea. The town was very quiet and progress was not really taking place. Even since they can remember, they have lived with the baby sharks and were always present in their area. As the matter of fact, these baby sharks were of thought as a threat to their livelihood because fishes were scared away. Since then, fisher folks would swat their paddles to make those whale shark go away from the area but still they keep coming back. As were the only ones left to be caught, some of them were slain as food. This had gone for years after years. Back around 2008-2010, a Korean diver had the idea about these baby sharks and he wanted to see them up close. Immediately, he looked for a boatman who can cruise him near these little sharks. After he found one, he paid him three times than the boatman’s whole month earnings. And this had gone for several months. He started to notice that it’s more profitable to cater viewers than to his usual job, catching fishes. He then started living a better life and even got his children enrolled in school. For many months of doing the job, he was also able to build a more sturdy shelter and bought a flat screened telly. One occasion he had a drink with his fellow folks and he unintentionally disclosed of how he earned that much. After his neighbors knew about it, they began giving tours by themselves. The government heard about it they extended their arms to the fisher folks. And that is to provide a structure where the fisher folks will be the largest beneficiary. So that was it. Depending on who conducts the tour, the fees can be arranged from 300-500 pesos per head. The cheaper one only allows viewing from the boat. On the other hand, the expensive one has a provision of snorkel, goggles and etc. It is clearly shown in a sign that 50% of the fees go to the boatman and his family. Some of the percentages go to the government for the certification and licensing. These creatures are inherently curious and will sometimes swim towards humans. If they do, do your best to calm and swim aside. Having such an opportunity as that is one of the best parts of your life so enjoy to the fullest. Thanks for another informative blog. Where else may I get that type of information written in such an ideal approach? I’ve a mission that I’m just now operating on, and I’ve been on the glance out for such info. Nice post. I learn one thing more difficult on different blogs everyday. It will always be stimulating to read content material from other writers and practice a bit of something from their store. I’d want to use some with the content on my weblog whether you don’t mind. Natually I’ll give you a link in your net blog. Thanks for sharing. great post, very informative. I ponder why the opposite experts of this sector don’t understand this. You must continue your writing. I am confident, you have a great readers’ base already!